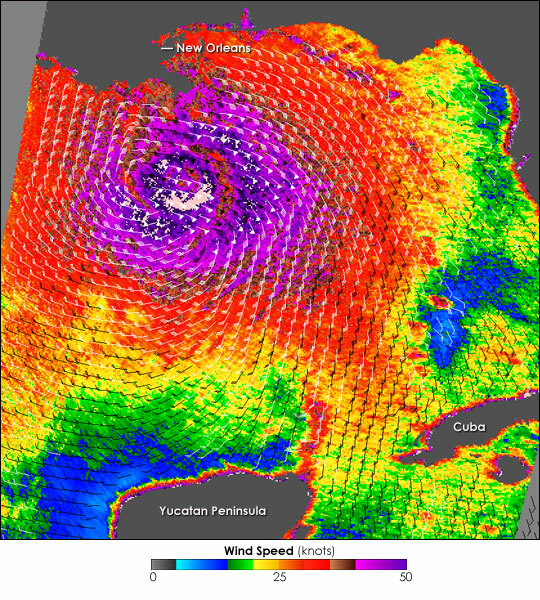 ESSC Scientist Michael Mann and graduate student Michael Kozar have released their prediction for the 2010 North Atlantic hurricane season, which starts on June 1st. The prediction is for 23.4 +/- 4.8 total named storms, which corresponds to between 19 and 28 storms with a best estimate of 23 named storms. This prediction was made using the statistical model of Sabbatelli and Mann (2007, see PDF here), including the corrections for the historical undercount of events (Mann et al., 2007, see PDF here). The basis of this forecast is the assumption that the current extremely warm sea surface temperature (SST) anomaly (1.34 C from NOAA’s Coral Reef Watch, see SST anomaly image here) in the Main Development Region (MDR) in the North Atlantic will persist throughout the 2010 hurricane season. It also takes into account current model predictions of near-neutral or slight La Nina conditions during boreal Fall/Winter 2010 (see ENSO predictions here). Climatological mean conditions are assumed for the North Atlantic Oscillation (NAO) in Fall/Winter 2010. In 2007, Mann and Sabbatelli predicted the exact number of named storms (15) for that season (see 2007 prediction). Last year, Mann and Sabbatelli predicted 8 to 15 named storms, with a lower range of 6 to 13 in the event of a strong El Nino (NINO3 anomaly +1 C or greater, see 2009 prediction). The 2009 season was relatively quiet with 9 named storms partially due to the development of a strong El Nino.